Odometer is 11233 miles below market average!2016 Jeep Patriot Sport dark slate gray Cloth.granite crystal metallic clearcoat Sport FWD CVT 2.0L I4 DOHC 16V Dual VVTCome visit us at the Original Nyle Maxwell in Taylor!! We have the best deals around and with the laid-back country atmosphere you can't beat it! We maintain competitive new and used inventories of Chrysler, Dodge, Jeep and Ram vehicles. Staffed with experienced sales representatives and top-trained certified technicians, we are here to provide a fun, easy and valuable automotive shopping and service experience. Serving Chrysler, Dodge, Jeep and Ram customers in Central Texas for over 18 years now and we are proud to carry the finest vehicles ever built. We stand by our word and stand by our work. We're committed to maintaining a higher standard of excellence because we live here, we play here, and we work here. Good credit or bad credit we can help you with all your financing needs! CARFAX One-Owner. Odometer is 9538 miles below market average! Awards:* 2017 KBB.com 10 Coolest New Cars Under $18,000 * 2017 KBB.com 10 Best All-Wheel-Drive Vehicles Under $25,000 * 2017 KBB.com 10 Most Awarded Brands2017 Jeep Renegade LatitudeAlpine White Latitude FWD 9-Speed 948TE Automatic 2.4L I4 MultiAirCome visit us at the Original Nyle Maxwell in Taylor!! We have the best deals around and with the laid-back country atmosphere you can't beat it! We maintain competitive new and used inventories of Chrysler, Dodge, Jeep and Ram vehicles. Staffed with experienced sales representatives and top-trained certified technicians, we are here to provide a fun, easy and valuable automotive shopping and service experience. Serving Chrysler, Dodge, Jeep and Ram customers in Central Texas for over 18 years now and we are proud to carry the finest vehicles ever built. We stand by our word and stand by our work. We're committed to maintaining a higher standard of excellence because we live here, we play here, and we work here. Good credit or bad credit we can help you with all your financing needs! Clean CARFAX. Awards:* JD Power Initial Quality Study (IQS) * 2016 KBB.com Brand Image Awards Reviews:* Versatile rear seating and cargo bay configurations; plentiful standard and optional features. 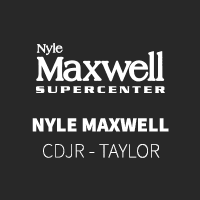 Source: Edmunds2016 Chrysler Town & Country Touring Black/Light Graystone w/Leather Trimmed Bucket Seats.Granite Crystal Metallic Clearcoat Touring FWD 6-Speed Automatic 3.6L 6-Cylinder SMPI DOHCCome visit us at the Original Nyle Maxwell in Taylor!! We have the best deals around and with the laid-back country atmosphere you can't beat it! We maintain competitive new and used inventories of Chrysler, Dodge, Jeep and Ram vehicles. Staffed with experienced sales representatives and top-trained certified technicians, we are here to provide a fun, easy and valuable automotive shopping and service experience. Serving Chrysler, Dodge, Jeep and Ram customers in Central Texas for over 18 years now and we are proud to carry the finest vehicles ever built. We stand by our word and stand by our work. We're committed to maintaining a higher standard of excellence because we live here, we play here, and we work here. Good credit or bad credit we can help you with all your financing needs! 2012 Ram 1500 ExpressBlack Clearcoat Express RWD 6-Speed Automatic HEMI 5.7L V8 Multi Displacement VVTCome visit us at the Original Nyle Maxwell in Taylor!! We have the best deals around and with the laid-back country atmosphere you can't beat it! We maintain competitive new and used inventories of Chrysler, Dodge, Jeep and Ram vehicles. Staffed with experienced sales representatives and top-trained certified technicians, we are here to provide a fun, easy and valuable automotive shopping and service experience. Serving Chrysler, Dodge, Jeep and Ram customers in Central Texas for over 18 years now and we are proud to carry the finest vehicles ever built. We stand by our word and stand by our work. We're committed to maintaining a higher standard of excellence because we live here, we play here, and we work here. Good credit or bad credit we can help you with all your financing needs! CARFAX One-Owner. Clean CARFAX. Reviews:* Smooth-riding suspension provides plenty of comfort; excellent trio of engine choices; smooth and efficient eight-speed automatic transmission; Rebel 1500 off-road package offers extra capability; cabin is quiet and attractive; touchscreen interface is easy to use. Source: Edmunds2017 Ram 1500 TradesmanBright White Clearcoat Tradesman RWD 8-Speed Automatic HEMI 5.7L V8 Multi Displacement VVTCome visit us at the Original Nyle Maxwell in Taylor!! We have the best deals around and with the laid-back country atmosphere you can't beat it! We maintain competitive new and used inventories of Chrysler, Dodge, Jeep and Ram vehicles. Staffed with experienced sales representatives and top-trained certified technicians, we are here to provide a fun, easy and valuable automotive shopping and service experience. Serving Chrysler, Dodge, Jeep and Ram customers in Central Texas for over 18 years now and we are proud to carry the finest vehicles ever built. We stand by our word and stand by our work. We're committed to maintaining a higher standard of excellence because we live here, we play here, and we work here. Good credit or bad credit we can help you with all your financing needs! CARFAX One-Owner. Clean CARFAX. Odometer is 37633 miles below market average!2012 Dodge Challenger R/TBlack Clearcoat R/T RWD 5-Speed Automatic HEMI 5.7L V8 Multi Displacement VVTCome visit us at the Original Nyle Maxwell in Taylor!! We have the best deals around and with the laid-back country atmosphere you can't beat it! We maintain competitive new and used inventories of Chrysler, Dodge, Jeep and Ram vehicles. Staffed with experienced sales representatives and top-trained certified technicians, we are here to provide a fun, easy and valuable automotive shopping and service experience. Serving Chrysler, Dodge, Jeep and Ram customers in Central Texas for over 18 years now and we are proud to carry the finest vehicles ever built. We stand by our word and stand by our work. We're committed to maintaining a higher standard of excellence because we live here, we play here, and we work here. Good credit or bad credit we can help you with all your financing needs! CARFAX One-Owner. Clean CARFAX. Odometer is 6357 miles below market average! Awards:* 2017 KBB.com 10 Most Awarded Brands Reviews:* Appealing baby-Grand Cherokee styling; optional flip-down tailgate speakers make tailgating a bit more fun; above-average off-road capability with Freedom Drive II; attractively priced. Source: Edmunds2017 Jeep New Compass Limited 7 & 4 Pin Wiring Harness, Class III Receiver Hitch, Power Liftgate, Trailer Tow Group.Rhino Clearcoat Limited 4WD 9-Speed Automatic 2.4L I4 MultiAirCome visit us at the Original Nyle Maxwell in Taylor!! We have the best deals around and with the laid-back country atmosphere you can't beat it! We maintain competitive new and used inventories of Chrysler, Dodge, Jeep and Ram vehicles. Staffed with experienced sales representatives and top-trained certified technicians, we are here to provide a fun, easy and valuable automotive shopping and service experience. Serving Chrysler, Dodge, Jeep and Ram customers in Central Texas for over 18 years now and we are proud to carry the finest vehicles ever built. We stand by our word and stand by our work. We're committed to maintaining a higher standard of excellence because we live here, we play here, and we work here. Good credit or bad credit we can help you with all your financing needs! New vehicle pricing includes all offers and incentives. Tax, Title and Tags not included in vehicle prices shown and must be paid by the purchaser. While great effort is made to ensure the accuracy of the information on this site, errors do occur so please verify information with a customer service rep. 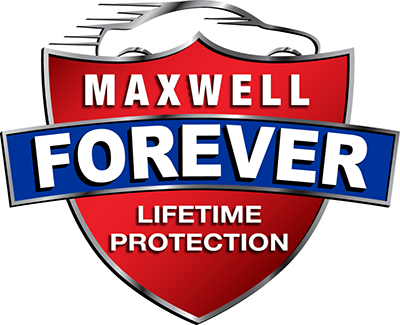 This is easily done by calling us at 512-686-0062 or by visiting us at the dealership.